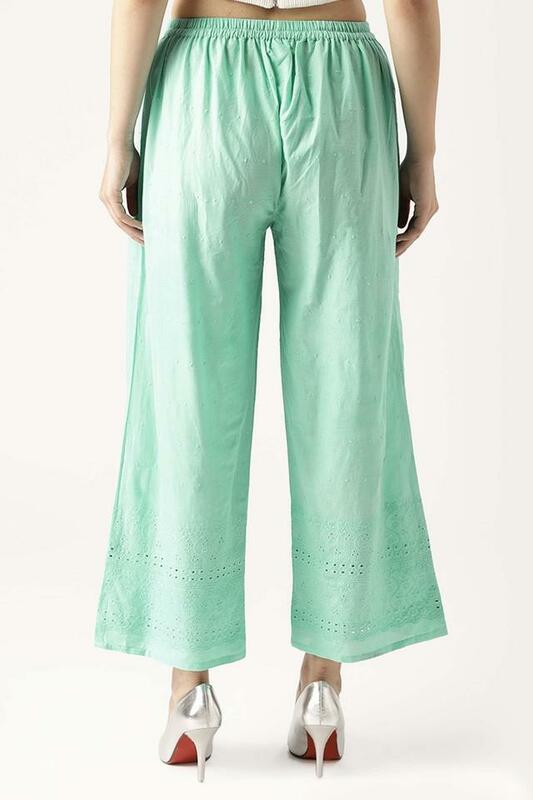 Libas brings this pair of palazzos, which will be a fine pick for every fashion forward woman of today. Made of a cotton fabric that will keep you at ease throughout the day. Furthermore, it features a perforated pattern along with perfect fit that adds to its look. 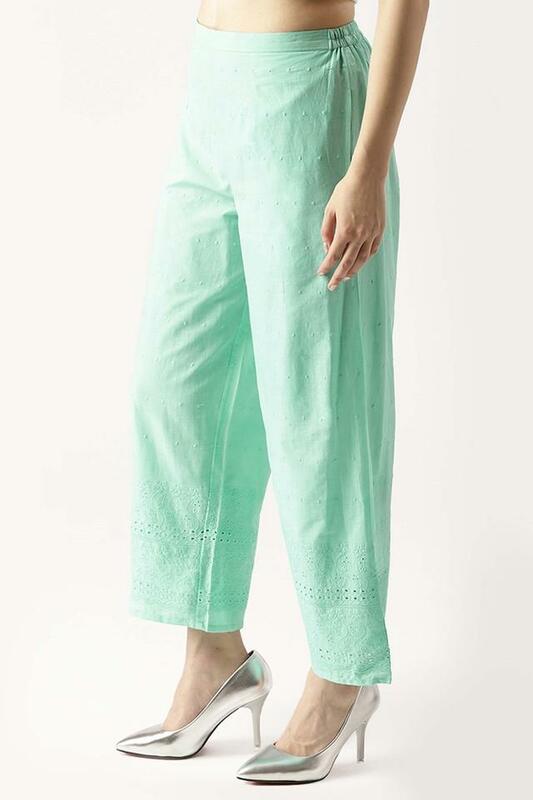 Be a fashion icon by wearing this pair of palazzos, which looks attractive. Team it with a kurta and a pair of boots to complete your casual look.